To get a fully functional copy of XLeratorDB, enter your name, email address and password in the boxes to the right. You’ll receive an email with activation instructions. The free trial will expire in 15 days. Download installation (.msi) file from the provided links and execute on the server where you wish to install XLeratorDB. Follow the installation prompts. On the server open 'Programs and Features' from Windows Control Panel, right-click XLeratorDB and choose 'uninstall'. Follow prompts to completely remove XLeratorDB from your system. 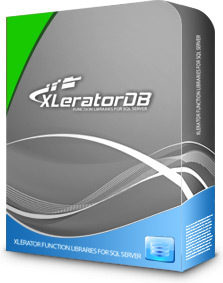 Download the XLeratorDB Installation Guide [PDF] for detailed information on installing and un-installing the software.